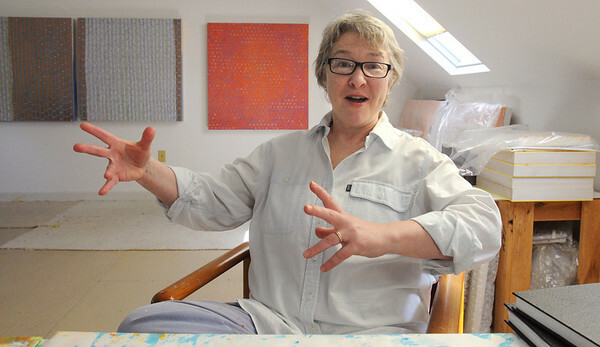 Artist Diane Ayott is in her studio. She teaches at Montserrat. She has a painting in an exhibition at the U. S. Department of State’s gallery in Washington, D.C.